Dana K. Nichols was selected as the Special Agent in Charge (SAC) of the New Orleans Field Division of the Bureau of Alcohol, Tobacco, Firearms and Explosives (ATF) in July 2017. In this capacity, she is responsible for ATF operations throughout Louisiana, Mississippi, and Arkansas. ATF is a key law enforcement agency within the U.S. Department of Justice that protects our communities from violent criminals, criminal organizations, the illegal use and storage of explosives, trafficking of firearms, acts of arson and bombings, acts of terrorism, and the illegal diversion of alcohol and tobacco products. The men and women of ATF perform the dual responsibilities of enforcing Federal criminal laws and regulating the firearms and explosive industries to protect against crime, violence, and other threats to public safety. Prior to her appointment as the head of the New Orleans Field Division, SAC Nichols served as the Assistant Special Agent in Charge (ASAC) of the Kansas City Field Division and the Chicago Field Division. 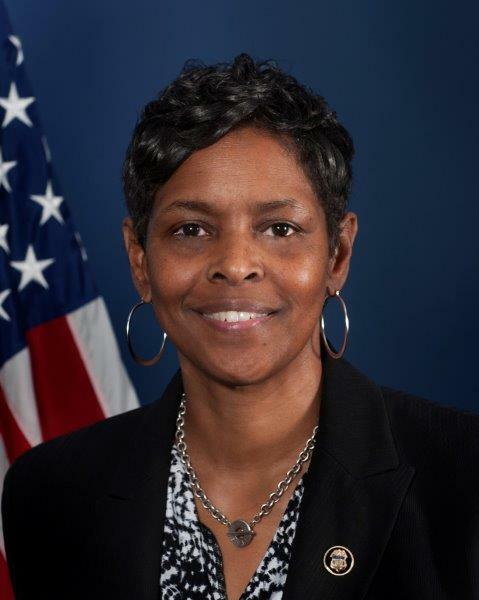 As the SAC for the New Orleans Field Division she is responsible for ensuring that ATF fulfills its mission to protect the public from crimes involving firearms explosives, arson, and the diversion of alcohol and tobacco products, and provide support to our law enforcement and community partners. SAC Nichols began her ATF career as a special agent in 1989, with St. Louis, Missouri as her first office assignment; perfecting investigations and initiatives targeting armed violent offenders, firearm traffickers, armed narcotics traffickers and gang investigations. Rising through the ranks at ATF, she served in many management positions which included; Group Supervisor in Kansas City, Missouri; Program Manager in Field Management Staff in Washington, D.C.; Branch Chief in Strategic Information and Intelligence in Washington, D.C., and ATSAC for the Office of Inspection in Washington, D.C.
SAC Nichols earned her Bachelor of Science degree in Criminal Justice Administration from the University of Louisville in 1989. She is a member of several professional organizations and throughout her career, she has received numerous awards and commendations both internally and externally.